HCM CITY – Enterprise in the new economic era of transforming from traditional to digital economy must choose sustainable development of significant breakthrough to reach outstanding level of business scale and effectiveness, a seminar heard in HCM City yesterday. 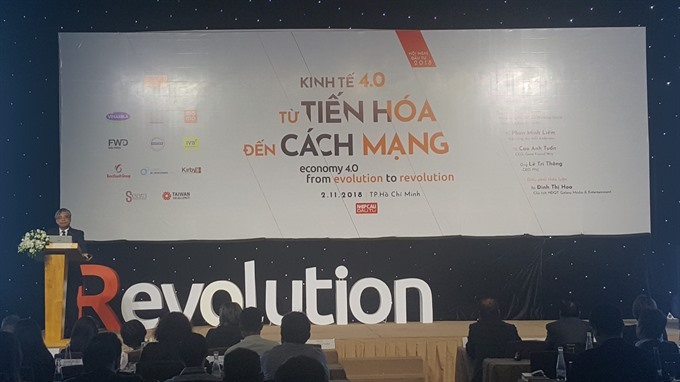 “Company chiefs and managers should clearly understand the nature of the economy in the technologising era,” Đặng Ngọc Minh, editor-in-chief of the Nhịp Cầu Đầu Tư (Investment Bridge) magazine said in his opening speech at Economy 4.0: from Evolution to Revolution. He quoted statistics for the last 30 years to show the private sector only contributes around 41 per cent of GDP, while State-owned enterprises account for the rest. “An economy which depends on State-owned enterprises and households cannot be strong and must change. 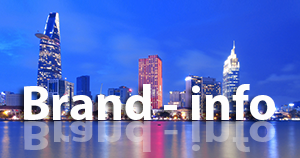 The Vietnamese business environment has become more attractive, he said. 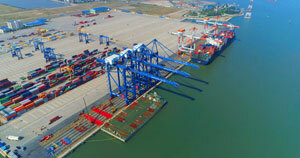 According to the 2017 World Investment Report, after APEC 21 Việt Nam was the Asian leader in attracting foreign investment, and according to a Thornton report in April the country ranked top in Southeast Asia. Thiên said: “Việt Nam has good development trends with active integration through CP-TPP, VN-EU FTA and AEC, a stable economy, good growth potential, increasing foreign investment, and effective administrative reform. “However, we are restructuring institution very slowly, have too many procedures, weak enterprises, economic growth too dependent on foreign investment. He pointed out that Việt Nam was facing serious problems with regard to land, government spending and equitisation of State-owned enterprises. He said the country had need for intensive institutional reforms and should consider the private sector as the spearhead of its economy. “This is a historic opportunity for Việt Nam to catch up with developed nations by taking advantage of industry 4.0. 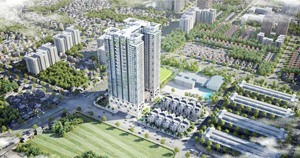 He said authorities expected a new economic boom in HCM City after the National Assembly passed the special resolution on the city’s finances. Đỗ Hoài Nam, co-founder of Up Co-working Space said: “Sharing economy has different ways of living and working. The sharing economy will optimise all kinds of resource and appear in all spheres of life.